Welcome to a community full of historic charm, unique shopping, and amazing restaurants. Old Toronto is known as the birthplace of Toronto, having formed in 1834. It's a great place to live and work for the 740,000 who live here today. Many different cultures are harmonized in this area of Toronto, creating a community that is highly sought after and wonderfully unique. Park Property Management has seven apartment buildings within the area, each close to the amazing attractions and amenities Old Toronto has to offer. When you're hungry in Old Toronto, St. Lawrence Market is the place to go. Stop in to smell, taste, and purchase locally grown foods, or sit down to some deliciously prepared meals for any time of the day. If you're looking for a more formal dining experience, this community has some amazing restaurants. The Old Spaghetti Factory, nearly as old as the community itself, is a beautiful restaurant with an antique feel and an incredible menu. Other popular restaurants in the area include The Senator Restaurant, Carisma, and George on Queen. 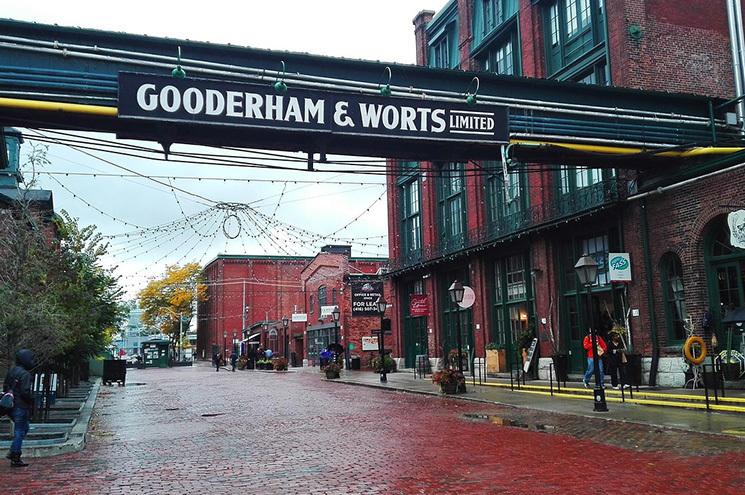 The Distillery District is one of the most charming places to shop in Old Toronto. This pedestrian-only village was restored to its original charm in 2003, with an added modern flare. Shops and services here include art galleries, fashion retailers, jewellers, home furnishings, and so much more. For more familiar shops, the CF Eaton Centre, Holt Renfrew Centre, and Yorkville Village are some of the larger shopping centres in the area. Nature is also plentiful here in Old Toronto! St. James Park, located directly across from our 90 Adelaide Street East apartments, is a quaint park with charming gardens, a gazebo, and fountain. Queen's Park and Philosopher's Walk, two beautiful green spaces just minutes from our Old Toronto apartments, are great spots for picnics, quiet strolls, or reading. The Entertainment District is quintessentially Toronto, being home to some of the city's most iconic features, as well as everything else from trendy clubs and restaurants to exciting attractions and theatres. Ripley's Aquarium, The CN Tower, and Princess of Wales Theatre are just a few of the attractions you'll find here, and each is only a short distance away from our Old Toronto Apartments. Commuting to school or work is easy with several subway stations within minutes of our apartment buildings, easy access to bus stops, and ample taxis ready to usher you throughout the city. If Old Toronto's charm appeals to you, contact us to view our suites today!